What could be cuter than a tiny person cosily snuggled up in a baby wrap? A tiny person with their own ‘baby’ carried kangaroo-style, that’s what! 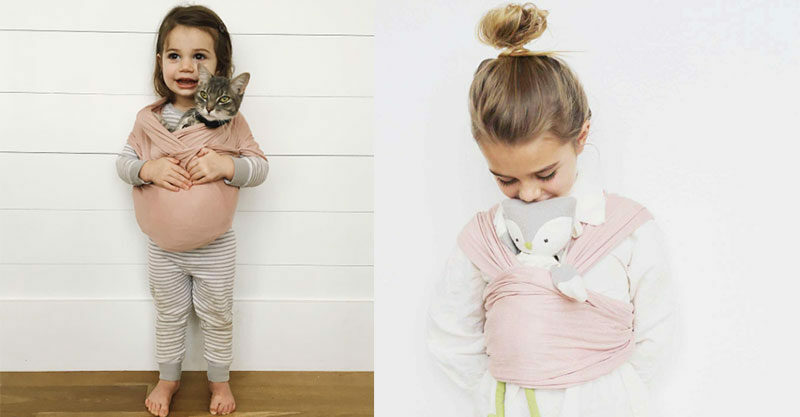 We’re pretty excited that we stumbled across the Instagram account of Solly Baby Wrap. Not only does its owner, Elle feature some of the nicest wraps we’ve ever seen, she regularly curates and features adorable children wearing baby wraps too. It’s kind of like taking something super-ace and adding an extra sprinkle of adorable. Basically, we can’t get enough of these mini-me’s cute pet/dolly/Woody snuggles! And we are 100 per cent sure you’ll be equally enamoured. A huge thanks to Solly Baby Wrap’s Elle Rowley for doing the leg work and curating all these gorgeous shots. And a big thanks to the kids involved, for being utterly adorable and modelling such ace hands-on parenting!